Unite has described the decision by the official receiver to make redundant 341 Carillion apprentices as an act of ‘crass stupidity’. The decision to make the apprentices redundant was made just as Parliament went into recess last week, preventing MPs from raising concerns at the decision. When Carillion collapsed in January it employed 1,200 apprentices and following the company’s demise, the Construction Industry Training Board (CITB) has found suitable placements for over 800 of the affected apprentices. The decision to make redundant the remaining apprentices is a further blow to the construction industry which is in the depths of a deep seated skills crisis. In 2016/17 there were just 21,010 people on construction apprentice courses; the decision to make the remaining Carillion apprentices redundant reduced the entire UK’s apprenticeship numbers by 1.6 per cent. “This is an appalling way to treat these apprentices who should have become the backbone of the industry. To dump them and to destroy their training is an act of crass stupidity,” said Unite assistant general secretary Gail Cartmail. “The government could have used its procurement power to find placements for these apprentices but it chose not to, demonstrating that it is not serious about dealing with the skills crisis facing the industry,” she added. 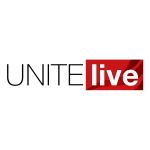 Last month, Unite lambasted the government’s handling of the Carillion collapse as thousands of workers still find themselves in limbo and vital public sector construction projects remain stalled. The criticism came as a report by the National Audit Office (NAO) published in June revealed that the taxpayer is expected to have to pay a minimum of £148m to clean up the mess caused by Carillion’s collapse. The NAO report follows a final report in May from the Work and Pensions and BEIS committees, in which MPs called on the government to implement an “ambitious and wide-ranging set of reforms” to reset corporate accountability, warning that “Carillion could happen again, and soon”.